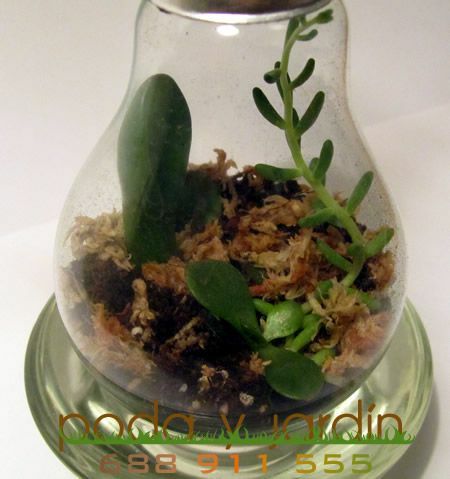 I write this little post about how to make a light bulb terrarium in both, English and Spanish, because I think it is a good idea to share with the most people the better. I’m Spanish so please forgive me if my grammar is not perfect. First of all we need a broken ligth bulb and empty it with a screwdriver and a wire cutter. We will cut the black extreme of the light bulb with the wire cutter and then break the interior softly with the screwdriver. Once we have empty it, we start with the light bulb terrarium. We need some soil, sphagnum moss and of course the plants we want to use in the terrarium. Sieve or filter the soil to remove the thickest parts and keep the thin soil. 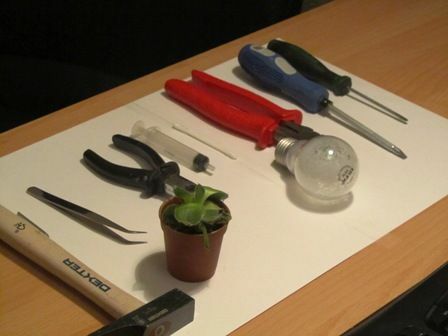 Then mix it with the sphagnum moss and introduce the mixture in the ligth bulb with a paper cone. I recomend to humidify a very little the mixture before planting so the plants are better fixed to the soil. You can use a syringe for this, it’s very useful. With a tweezers you can place the plants where you desire and then finish the watering. How to fix your ligth Bulb Terrarium? 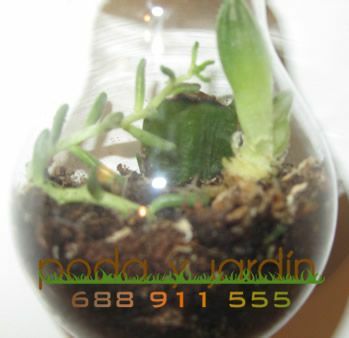 You will need to use your imagination to place and fix the ligth bulb terrarium. In this picture I’ve used an Ikea candelabra, but you can also use wine corks glued together or hang it with invisible nylon used for sewing (for this you should have made before starting two little holes in the metalic part of the ligthbulb. 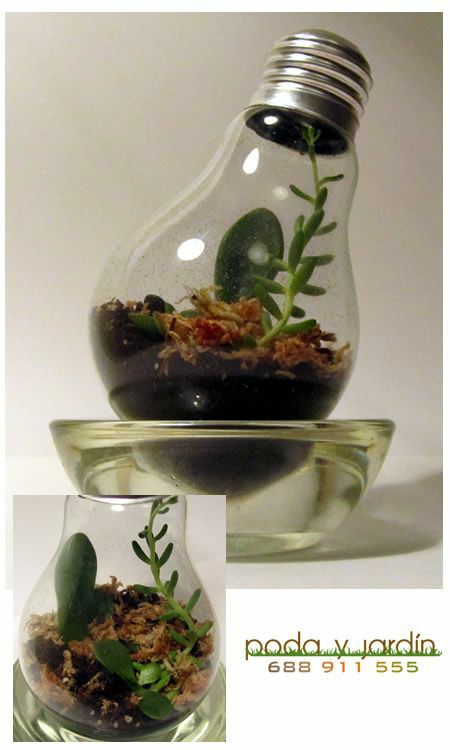 Want to see how do I make this light bulb terrarium since the begining? you can see it in my Youtube’s channel or watch it right here. Below the tools I have used for making it. If you liked it, please support by clicking G+ or Facebook like! this will give us energy for making more!